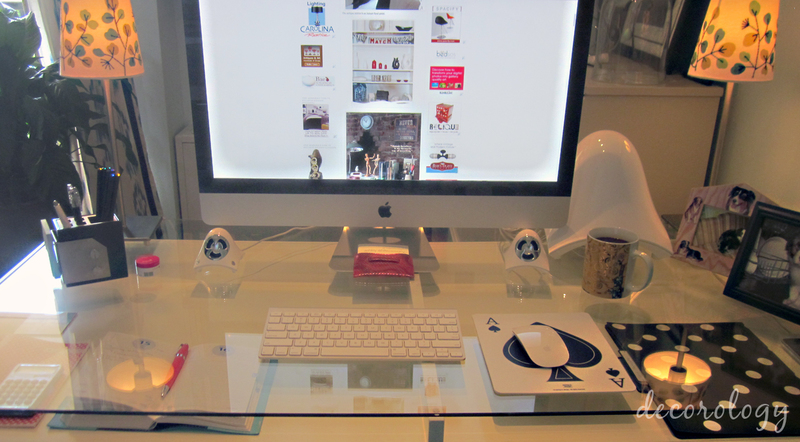 Today I am excited to reveal to you my desk. I did have to do a little straightening up before you came to "visit," but for the most part, this i how it looks. 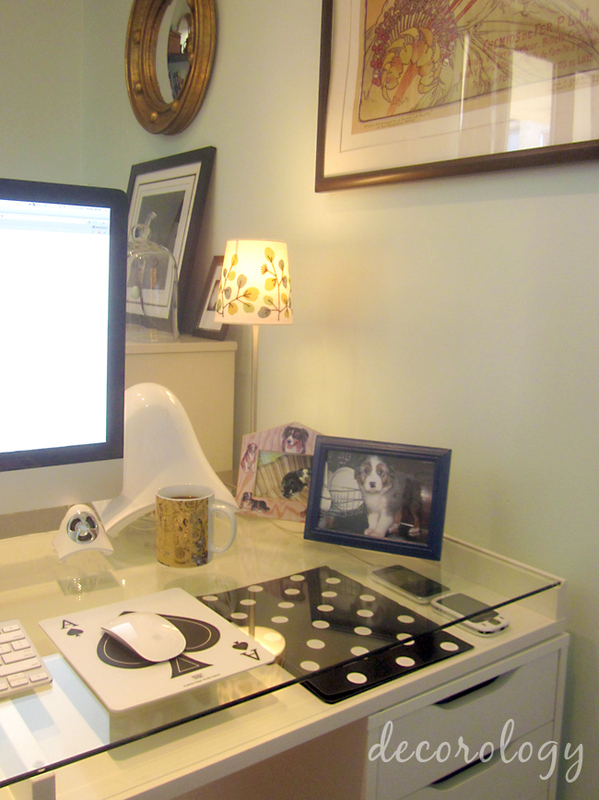 Since I work from home as a freelance web designer, this is where I spend most of my days. Some of you may remember the giveaway I held for a collection of cool office supplies from Sorting With Style. Well, they were cool enough to surprise me with a collection of cool supplies for me to use in my own home office. You can see the supplies displayed on my desk. My desk is from Ikea, and I LOVE IT. I like to have a lot of surface space, and this desk allows me to tuck things under the glass top, make them accessible, but not taking up desk surface, just like you see the polka dot file folders I need to reference frequently. Sorting with Style sent me this super chic business card holder. I actually really needed one of these, because my business cards were always getting scuffed up just floating around loose in my bag or desk. I'm a freelance web designer (alongside being the founder of Decorology). You can see some websites I've designed here. 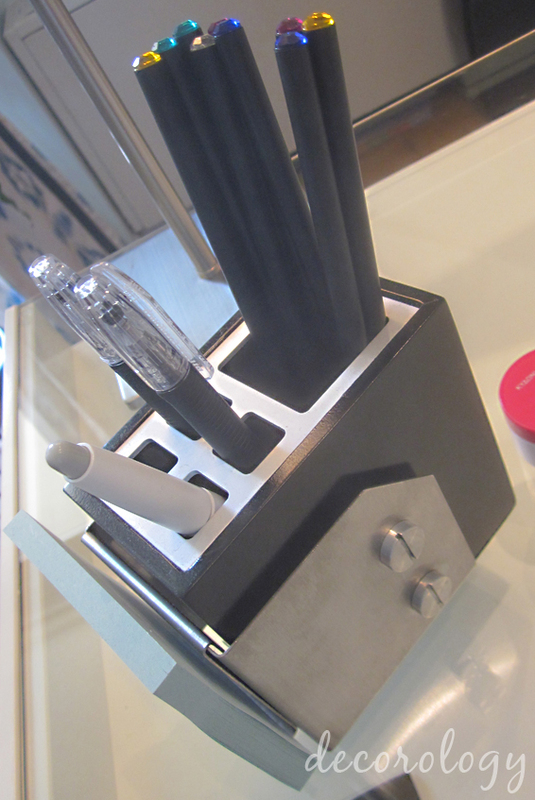 They also sent me this industrial chic pen and pencil (the crystal pencils were also a gift), with a handy clip to hold post-it notes. I call my agenda my brain. I actually don't use a smart phone, and I like having a tactile book to make lists and track appointments. 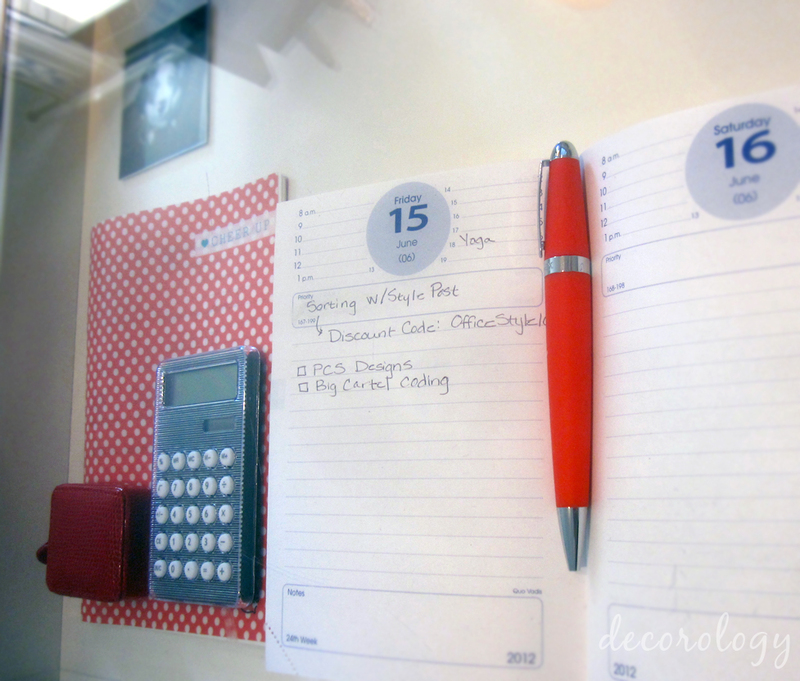 You can also see the Cheer Up polka dot note book, petite calculator, and red snakeskin measuring tape, and red vintage pen from Sorting with Style. Sorting With Style asked in return that I fill out the interview below. What’s the one thing on your desk you can’t live without? I like to keep my desk surface as free from clutter as possible, but depending on how busy I get, it can get messy from time to time. I can't focus in a messy space, I end up cleaning it instead of working. What is the one thing on your desk that inspires you? Photos of my dogs. On days when I feel isolated working from home, I remember that being a freelancer allows me the freedom to spend time with them whenever I want. If you could be any office supply, what would it be and why? 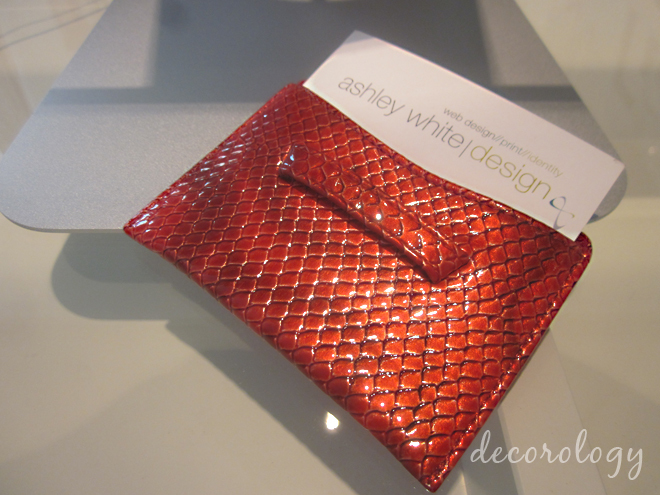 My sorting with style Red Snakeskin Measuring Tape. It goes everywhere with me so I can measure things to make sure they can fit in the space I have in mind for them. The Black File Tote – how chic is that? And functional!